Thickness 3/4″ nominal. Classic shape that is great for floors. makes a beautiful honeycomb pattern. Available in all ARTO colors and blends. Click here to view colors palette. GB50 8” Hex Cotto Dark Vint. 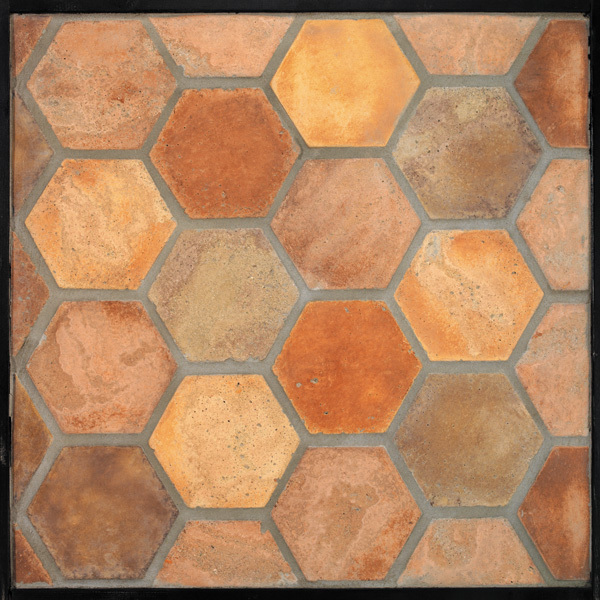 GB54 11” Hexagon T. Mustard Vint. GB59 11” Hexagon Cotto Dark Vint. The vast majority of raw materials are locally sourced to minimize transportation impact. Our cement is supplied by an Energy Star Certified factory. All products include varying amounts of recycled content, our packaging incorporates recycled or reclaimed materials. Our primary goals are to increase recycled content without reducing product quality or locally sourced content and to reduce our waste stream as close to zero as possible. ARTO is happy to support efforts toward green building certification. ARTO products can contribute to LEED rating system certification in a variety of credit areas. 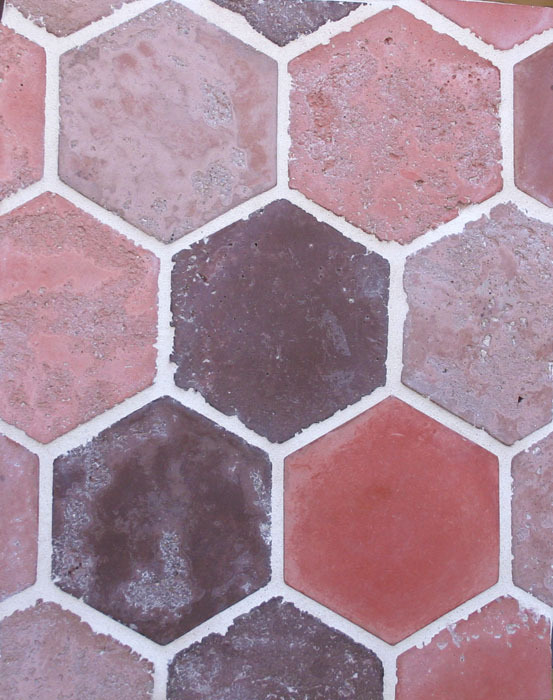 Do you make either of these terra cotta tiles any thinner than 3/4″? How much do they cost per square foot? we are company from Lithunia, we are working with tiles, wood and carpet. we are interesting HEXAGON tiles. if you interesting, please send me information about price and pdf catalog. thank you and awaiting your reply. Please call or email ARTO for international distribution. Thanks. Hi. the creme fraiche hexagon: What colors are used in that? 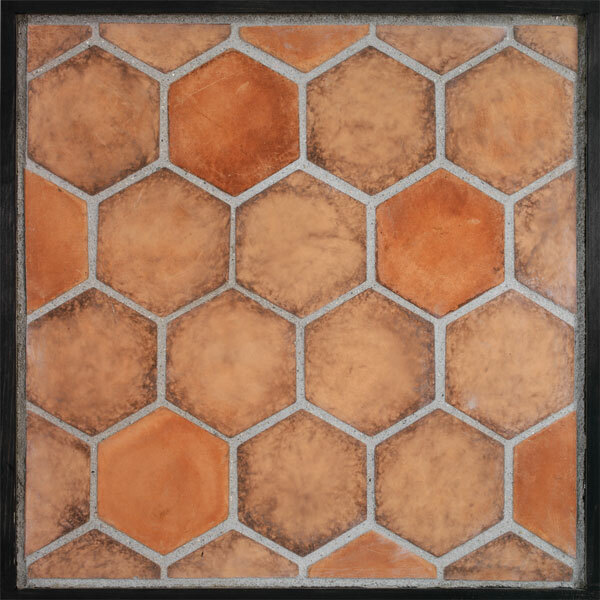 We are thinking of using a tuscan mustard for the main tile and using the creme fraiche as accent “tile rugs”. will that coordinate? Can you advise the thickness of your ceramic as well as the concrete tile products? For Concrete, Artillo and Arabesque are nominal 3/4″thick. 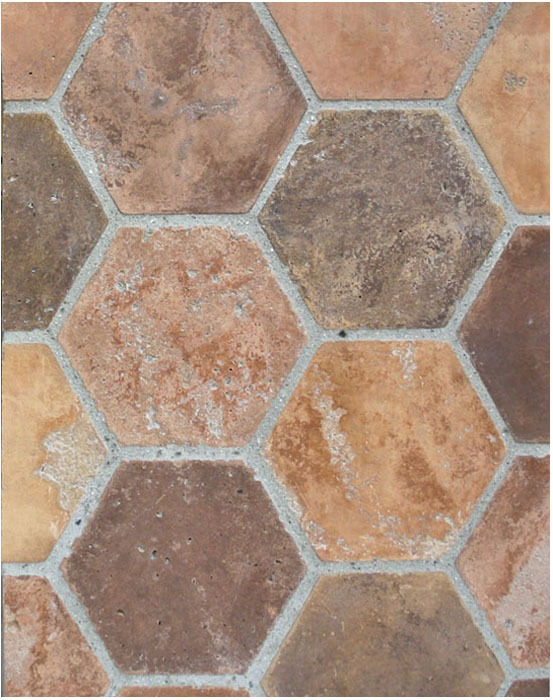 The Roman tiles are 1″ thick and the Pavers are 2″ thick. Roman is concrete. In Clay we have Monrovia, Oleson and Arabesque at nominal 5/8″ thick. 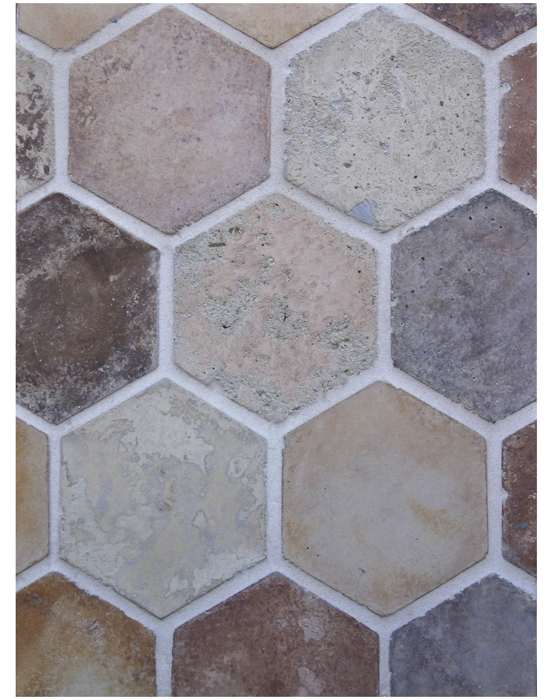 Decos and Field tile are 3/8″ thick. I will get you a contact Tuesday the 20th. How many feet do you need? Do these tiles come in a “regular” thickness? what thickness are you looking for? 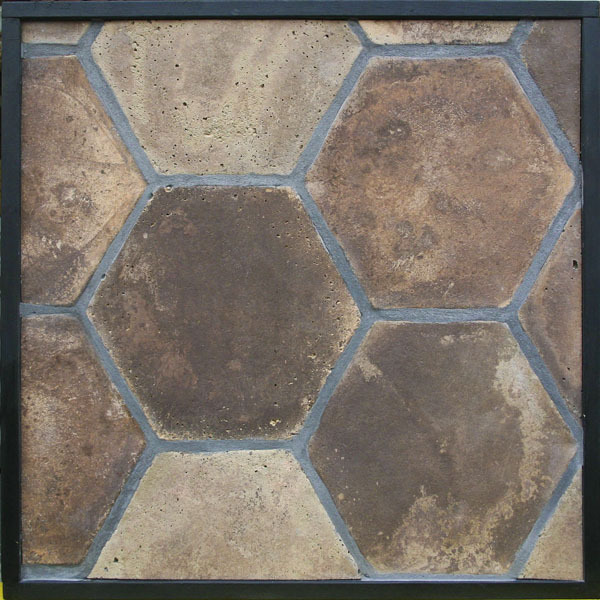 Looking for a hexagon shaped 6×6 quarry tile for a high traffic commercial kitchen. Which would you recommend? 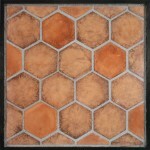 ARTO makes a high fire quarry tile that is commercial rated. I will pass you email on to a ARTO sales rep to give you more information. Thanks for the question and comment. do the hexigon come both glazed and unglazed? what is the glaze? and is there a price difference between the 2?…. what is the difference between these categories??? 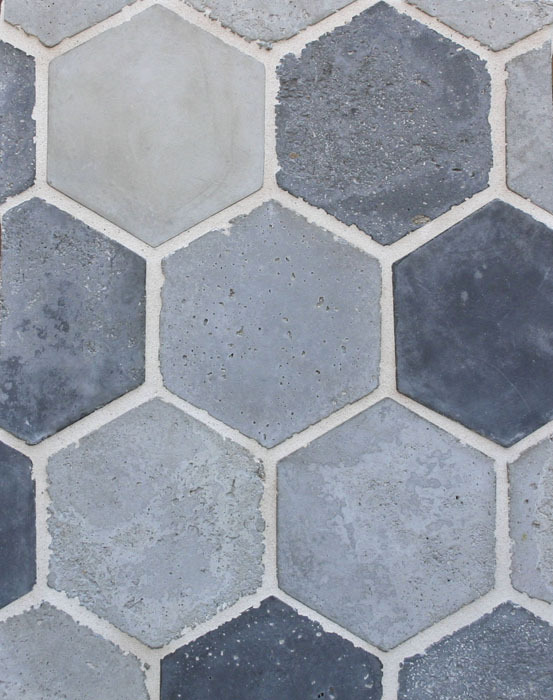 The Hexagons on this page are made of concrete so they cannot be glazed. Classic, Premium and Signature are Color Price levels. Texture can be added on to each color level. CLICK HERE for ARTO Concrete Color and Texture. 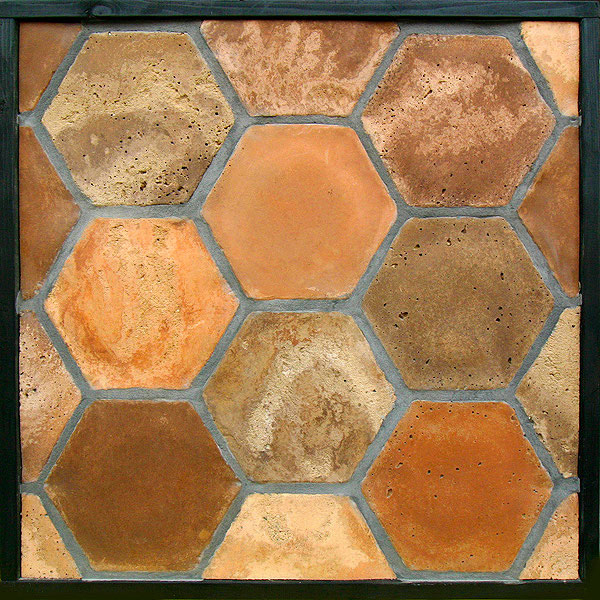 ARTO does make a high fire stoneware CLAY tile that can be glazed. Their is a price difference between glazed and unglazed. 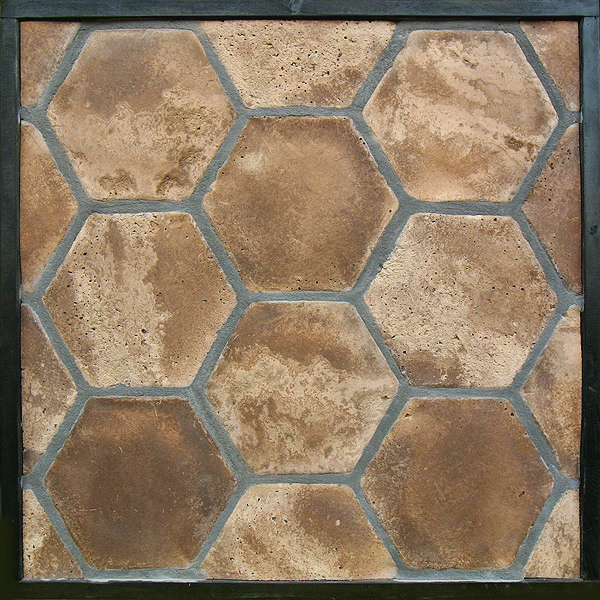 The CLAY Hexagons are on this page, CLICK HERE. I will forward your information to a sales rep and they can discuss pricing and answer any other questions you have. Thanks for the question. like the hexagon, can it be used in the shower? on the floor? Yes is can be used in a shower on a floor. 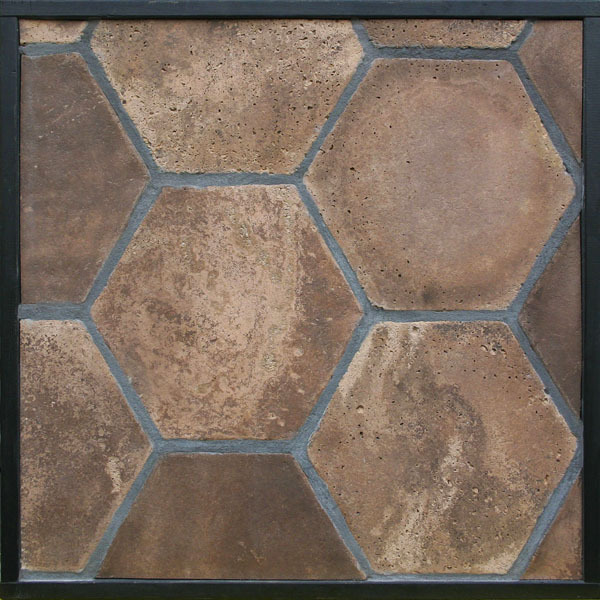 Concrete tile is porous so proper care and sealing is important. Also you may need to reseal over time. Thanks for leaving a comment. i would like to know the prices of a few of your products. I have a designer and I see your products are at Decoda in Ft Lauderdale Florida. I like Artillo in 16×16 and Super in 18×18 and Hexagon in 14×14. Good choice the hexagon is always a great shape. Check out the Download section for an updated pricelist. 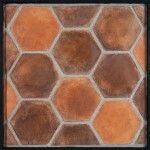 Interested in tiling the bottom floor of our TH with hexagon tiles. Great Choice! It looks great in a mix of colors and textures like ARTO’s signature Normandy Cream. See a sample on the “Concepts” page.